You're lost. Need maps. 12% battery. Can't use data. Can't use GPS. Don't worry! wayfarer shall show the way! I've got a one year old phone that goes from 20% battery to nothing in a minute if I use data/GPS. But being a traveler, I do need directions! So what do I do? Get back to basics. 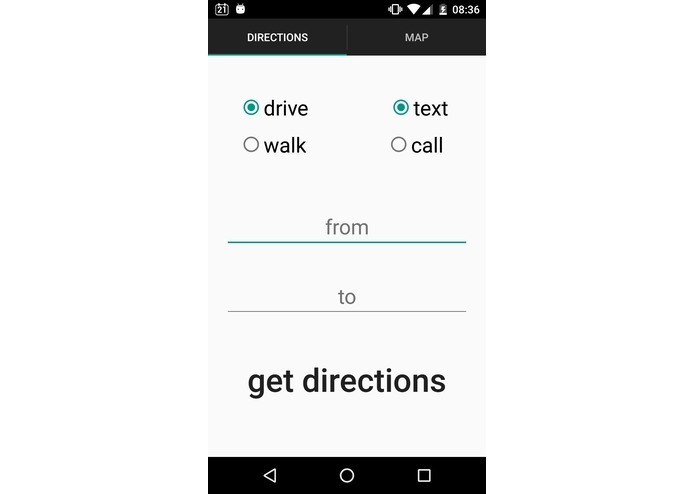 wayfarer uses your phone's SMS service to send a query for getting directions. 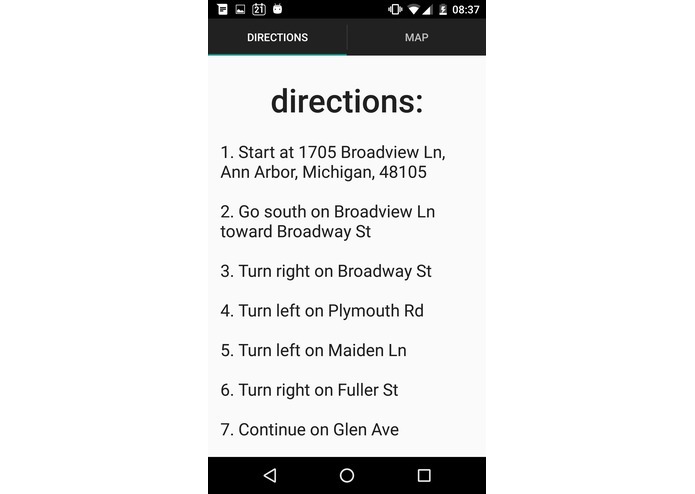 You can receive directions through SMS, call, or even a full blown map through MMS! We used Twilio to get a phone number to which the user can send a query with his current location and required destination. 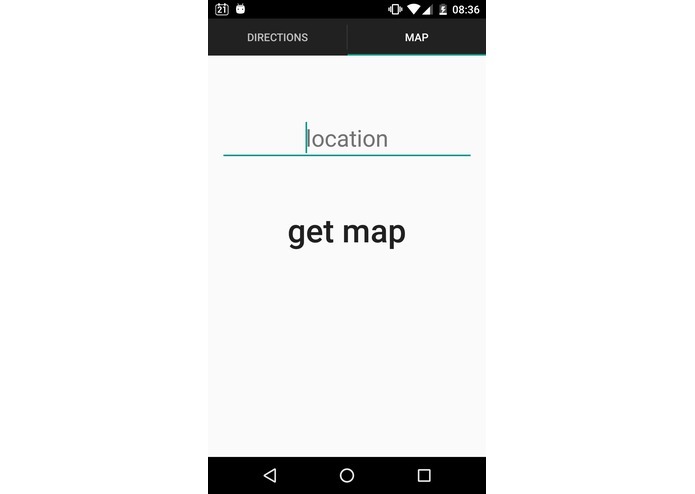 We then query Esri to get directions to reach the destination from the given source. We can also get a map of that location. We used Linode to host our Python flask server. We also used mongodb to cache some results on our server itself so as to avoid unnecessary API calls. Finally, we used Twilio again to send the directions to the user through SMS, or voice call, or a map through MMS! Completing the application and having a working prototype ready! Ideation, UX, Android, Backend. I worked mainly on integration with Twilio, the Android app, and the Python Flask Web Application. Life is short. Use Python. I worked on connecting the backend with the ESRI Rest API. Also helped out a bit on the Android code.